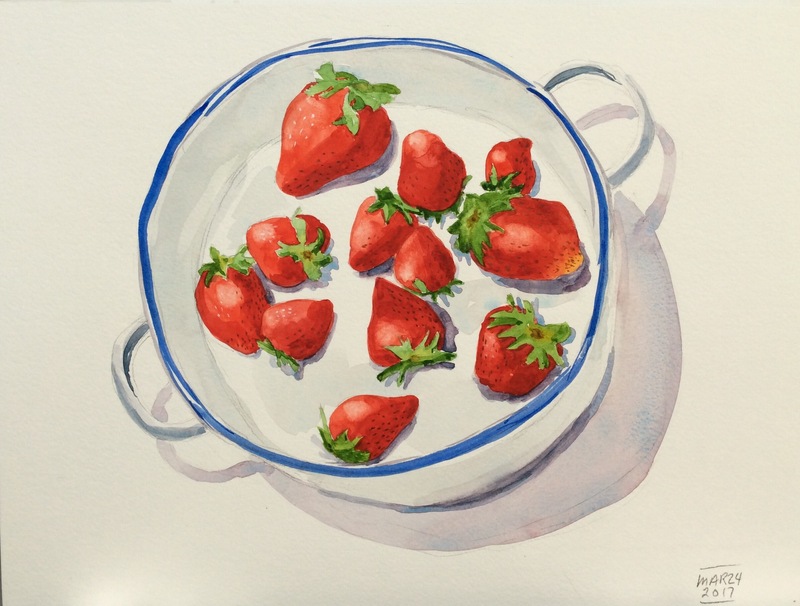 Wil Freeborn’s lesson 10 involved strawberries and sight sizing (drawing an object actual size). I look forward to drawing some fresh local berries this summer. Lessons learned: don’t be afraid to be bold with the shadow on the first stroke (in this lesson, the berry shadows were painted first); I find it easier to scrub out the highlights, but this will only work if the paint is non-staining. I like how the pencil line helps define the inside edge of the pan.